The Woodburn High School Class of 2018 will include 112 graduates receiving the Oregon State Seal of Biliteracy. Successful candidates for the Seal completed the bilingual interview and portfolio process, and met stringent state and district criteria. This is the fourth year of the Biliteracy Seal program at the high school. In 2015, seven students were recognized during the first year of the program. The second and third years saw that number jump to 42 and 64 students, respectively. Now, the number of students receiving the Seal has nearly doubled to 112. "The growth in the number of successful applicants over the past four years reflects the investment we've made in our dual language programs," said Superintendent Chuck Ransom. "We value multilingualism as an asset that has lifelong benefits for our students and know that it is a quality that makes them stand out to employers and universities." 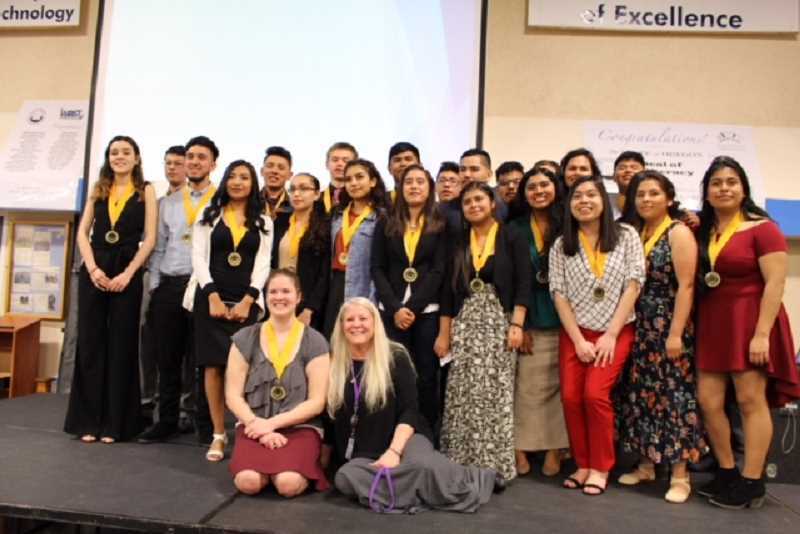 All students are eligible to attain the Biliteracy Seal based on evidence of achieving the designated level of language proficiency in English plus one or more other languages during their high school years. Students must demonstrate the state-determined level of proficiency in English, as well as one or more additional languages, be that language a native language, heritage language, or a language learned in school or another setting. Woodburn students demonstrate their proficiency in English and Spanish or Russian. Some candidates are proficient in all three languages.